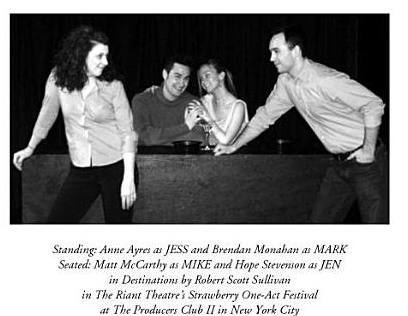 Destinations—A slice-of-life story that explores infidelity — how do some relationships survive affairs and not others? Genre: Drama with comedic dialogue. Cast Requirements: 2 males, 2 females, all in their 20s. Set Requirements: minimal, 2 chairs to represent airplane seats and 2 additional chairs and a table. 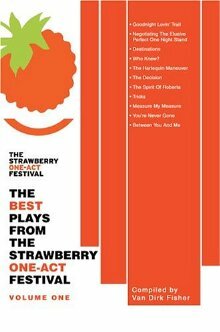 Destinations was published in The Best Plays from the Strawberry One Act Festival, Vol. 1 and is currently available in bookstores and available at: Google Books. 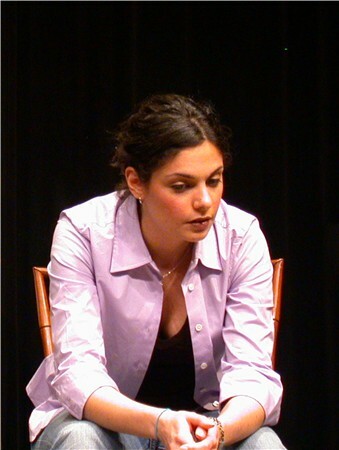 It has become a rather popular short play to perform in high school and college drama programs and has been produced in venues across the United States and in Canada. Quarters (aka Beer 4 Breakfast, aka Life on Mars)—A playfully simple comedy about the absurd lives of men. 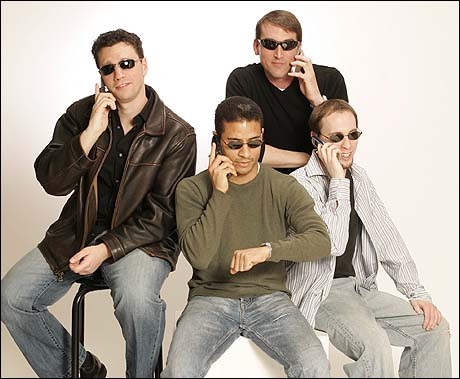 Told in a sitcom style, this play follows the lives of four totally opposite male roommates living in a Manhattan apartment. Rounding out the cast of characters are: the brain, the babehound, the broke actor and the burnout. Four 20something guys just trying to find themselves—and a little piece of happiness—during their quarter century crises. Cast Requirements: 4 males, 2 females all in their 20s. 1-2 males in their late 30s or early 40s. Set Requirements: 1 main set: a NYC apartment, 2 minor sets: restaurant and a professor's office. Click here for a great review from the Times-Herald Record and Backstage. Eve—On the eve of a mother's operation, her son comes to visit and opens up to her for the first time in his life. Cast Requirements: 1 male in his 20s, 1 female in her late 50s early 60s. Set Requirements: minimal, a middle class suburban kitchen. 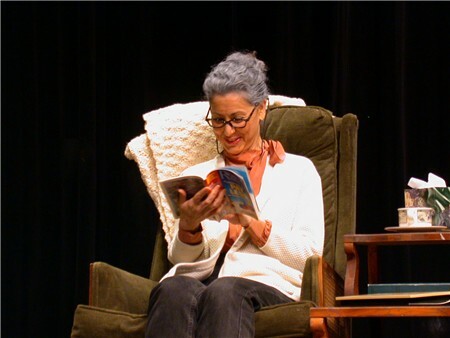 The Love of Your Life—The story of a woman about to be married who learns a few life lessons about love from her recently widowed grandmother. Cast Requirements: 2 females, 1 in her 20s, the other in her 70s. Set Requirements: minimal, a middle class suburban living room. 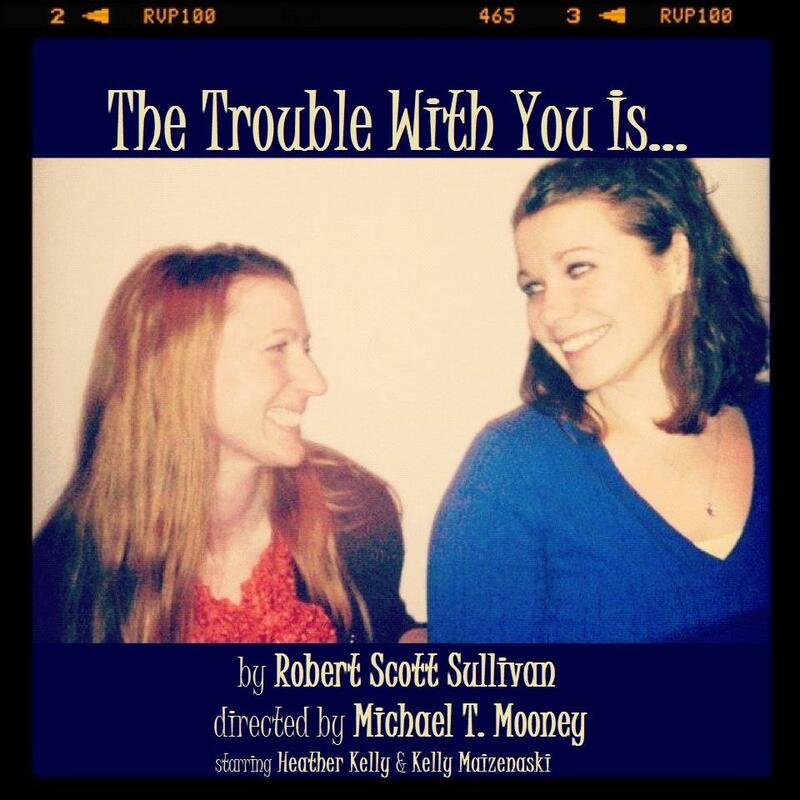 The Trouble With You Is—When a famous actress visits her nebbish, younger sister, personalities collide and truths are revealed...and tragedy lie ahead for both...but can they overcome these tragedies with each other's help? Cast Requirements: 2 females in their 30s or 40s. Secret—The sad story of a self-loathing man burdened by a secret that prevents him from having a "normal life." Cast Requirements: 1 male, 1 female, both in their 20s. Set Requirements: minimal, apartment living room. Rewarding Constance—A dutiful, southern waitress recalls her twisted childhood growing up with a less than nuturing mother. Genre: Drama with some comedic dialogue. Cast Requirements: 2 females in their 20s-30s; 1 female in her 60s-70s. Set Requirements: minimal, diner counter and a table with 1 chair. Love & Liquor—A compilation of short plays featuring: The Love of Your Life, Destinations, Rewarding Constance, Secret, Eve, and The Trouble With You Is. Genre: Dramas with comedic dialogue. Cast Requirements: minimally, 2 males in their 20s-30s; 2 females in their 20s-30s; 1 female in her 60s-70s. Set Requirements: minimal, all settings can be recreated using chairs and tables or rehearsal blocks. An Unholy Proposal—A vampire proposes marriage to a witch — she says no — but why? Set Requirements: minimal, 1 bench or 2 chairs. Free—A neurotic man's life has just been turned upside down by a medical diagnosis he was not expecting. Cast Requirements: 1 male, 1 female both in 40s or 50s. Set Requirements: minimal, 2 chairs or a couch. A Dog's Life—A story that illustrates the bond between pet and human and the importance of living in the moment. Cast Requirements: 2 males, any age. Set Requirements: minimal, 1 chair or a bench. Baggage—A woman must learn to love again despite the significant baggage she carries from her past relationships. Cast Requirements: 1 female, 2 males. Set Requirements: minimal, 1 couch or 2 chairs. Liquid Love—It's New Year's Eve and a woman is prepared to make a resolution to ban either coffee or wine from her life...but the decision won't be so easy. Set Requirements: minimal, 2 chairs or stools. Observations—An oblivious loser decides he's going to become an observational humorist — his wife is not amused. Cast Requirements: 1 male, 1 female. Super Human—A super human family not only must fight an evil criminal, but must learn to live with their son's newfound life choice. Cast Requirements: 2 males, 1 female. Set Requirements: minimal, if anything. 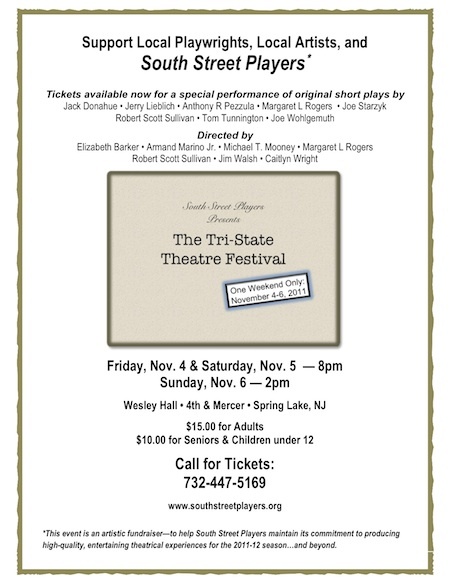 Superstorm Sandy—A play that explores the challenges of rebuilding after your family has been destroyed. Set Requirements: minimal, 1 table, 2 chairs. The Play's The Thing—The show must go on — no matter what — for an aging actor who has been playing Hamlet his entire life. Set Requirements: minimal, some chairs. 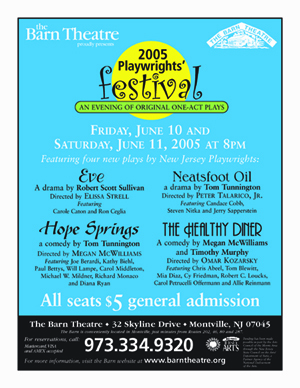 Heroes, Humans, and Other Assorted Monsters—A compilation of short plays featuring: An Unholy Proposal, Free, A Dog's Life, Baggage, Liquid Love, Observations, Super Human, Superstorm Sandy, and The Play's The Thing. Genre: Mix of comedies and dramas. Cast Requirements: at minimum, 2 males and 1 female. Group Therapy—A group of digital and social media addicts get together for their regular therapy session but are tempted to go back online when their therapist fails to show up for their meeting. Cast Requirements: 2 males, 3 females. Hey, Pumpkin—A frenzied woman in recovery — who happens to be addicted to all things pumpkin spice — falls off the wagon. Set Requirements: minimal, a table and some chairs. Halloween Night—2 college-aged kids share a scary night on the roof of a frat house on All Hallow's Eve. Set Requirements: the ledge of a stage. The Vampire Appeal—a youth and beauty obsessed female begs to be turned into a vampire, no matter what the cost.